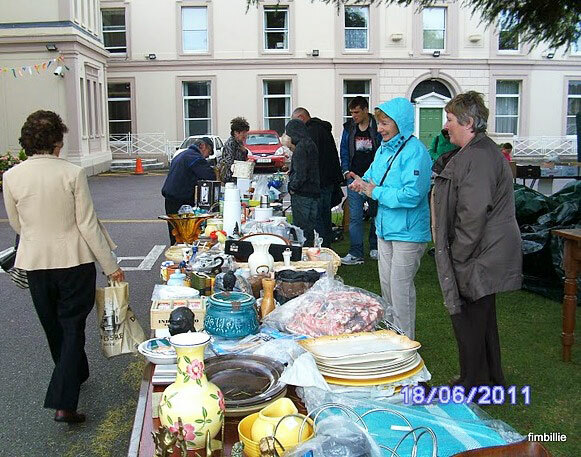 The Parish Aid for Africa Bazaar was held on the third weekend in June. Parishioners and friends donated many items to help raise funds for PAFA. Though the weather was not so good a considerable number of people turned out to support PAFA and give their money for those in greater need. A nig Thank You to all – donors of items, organisers, stall sellers and, most importantly, our buyers! Our picture shows some of those who braved the showers. In 2009, PAFA raised €28,000 and responded positively to 10 requests from SMA missionaries in Africa, sending them a total of €24,000. The income in 2010 was the same as the previous year and € 25,000 was sent to Africa. How is the money raised? The principal source is the second Collection at the parish Sunday Masses which usually takes place on the 2nd Sunday of the month. Donations from individuals and the PAFA Bazaar are the other income sources. Those who want to contribute to PAFA can do so by dropping into the Parish Office or leaving their Donation into the Reception at the SMA House, marked clearly PAFA Donation. Please include your name and address etc so that an acknowledgement can be sent. Thank You!